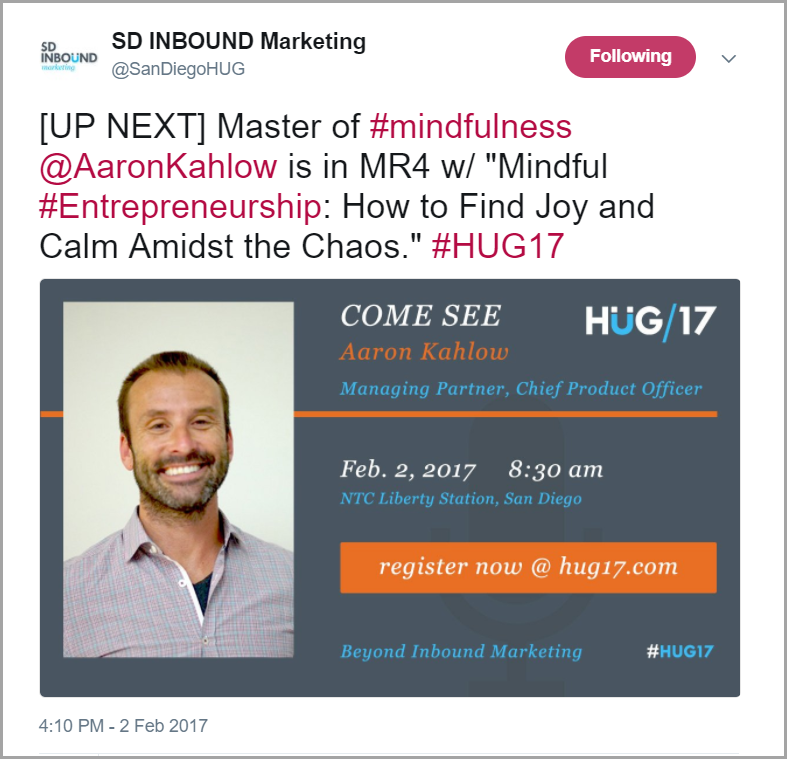 In marketing, in-person events like workshops, seminars, product launches, and tradeshows, present a fantastic opportunity to find potential clients while interacting in an environment that, for once, doesn’t involve a computer. However, they are also an important way to nurture a variety of existing leads. The key to maximizing ROI with what, all things considered can be a pricey investment, is a thoughtful strategy. And in the digital era, it’s inevitably tied to marketing automation. 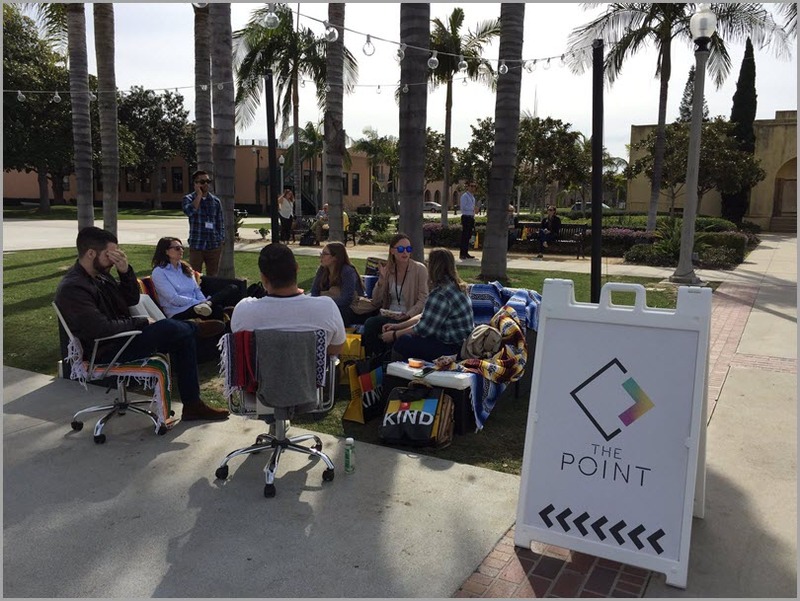 Nicole Pereira, CMO of Campaign Creators and Co-Founder of SD Inbound, believes that every business planning an in-person event needs to develop a game plan that covers three distinct phases: pre, during, and post-event. She also says that it’s important to distinguish between two types of events: ones which your company attends, and ones which it hosts independently. For each kind of event, the three aforementioned phases are oriented around slightly different goals. Offline events attended by a company include trade shows, conferences, expos, and the like. If you come prepared to enable your company to stand out in what can be a fairly competitive environment, and develop a thorough follow-up strategy (which only 47% of companies do! ), you will be rewarded. 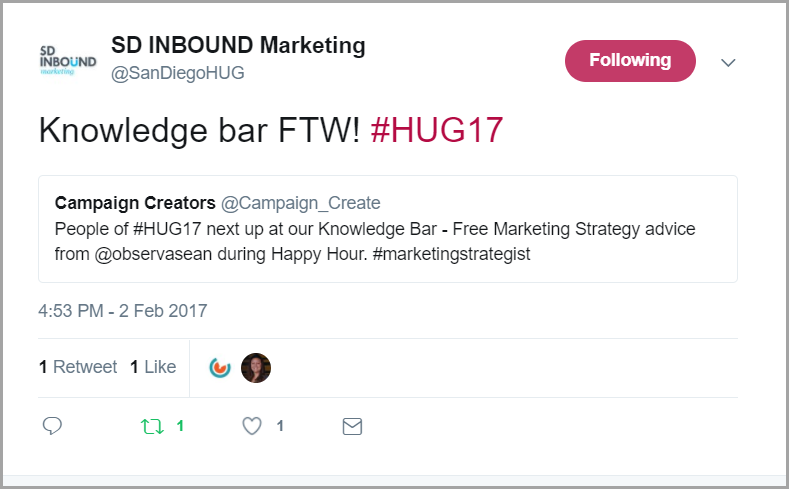 During this phase, nearly all of the marketing being done is to existing leads in your database, often acquired at previous events. In this way, it’s the loop-closer of the event marketing strategy, which can in some ways be considered a cyclical process. The pre-event phase is centered on nurturing and is commitment-focused. Your first step should be to segment your contact database to prioritize those contacts that would most likely be interested in a particular event. It is even possible to further sub-segment those top contacts into different categories, to which you will cater different promotional material. Then begins the process of using content on various channels, including email, blogs, and social media, to advertise the event. A short promotional drip email campaign works very well for event advertising, as you can continue sell your contacts on its value as details emerge. 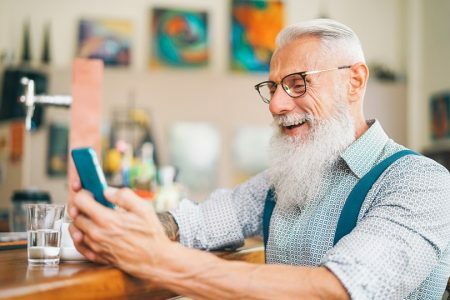 Many companies begin reaching out to potential attendees around 4-6 weeks beforehand; early emails can be somewhat ambiguous teasers, while later ones will mention details and include a call-to-action, with a registration link if possible. Your goal is to get leads excited enough to show up! Below you can watch a fun video we created to promote the Campaign Creators booth at HUG17 that tied into our superhero theme. We included a link to it in promotion emails, posted it to social channels, and embedded it on an event landing page. This phase is all about lead generation. As a guest/attendee of the event, you need to understand your place in order to determine the best approach. 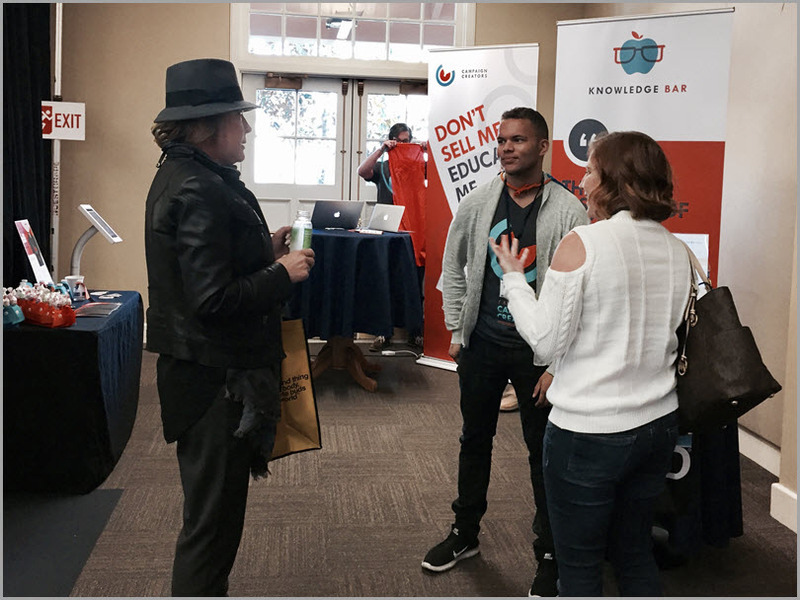 If your company will be setting up a booth, your focus should be on meeting leads from your attendee list here during the event, potentially even with a specific time to meet. As you are sharing the space with other companies, some of them direct competitors; generating interest in your booth is imperative. 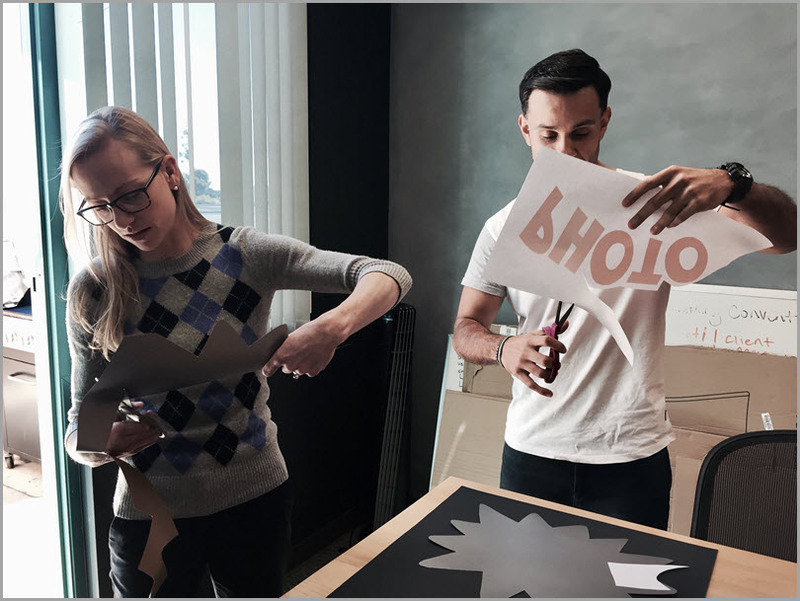 You can get creative to accomplish this task: consider an interesting booth design, a theme with interactive elements, a contest, swag giveaways, etc. 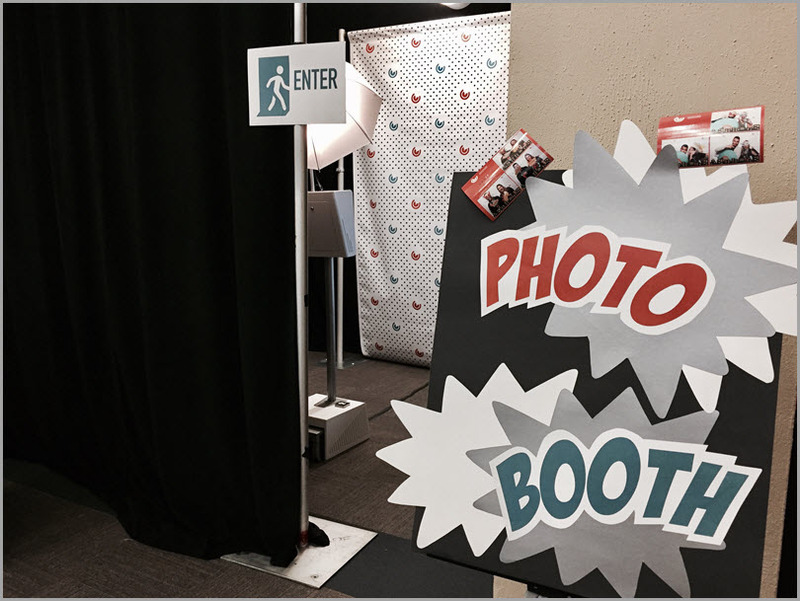 At one event Campaign Creators raffled away a t-shirt an hour to anyone who shared a picture from our superhero photo booth (also a huge hit!) on social media. Don’t forget to have one or multiple ”elevator pitches” rehearsed for a conversation with a prospect, as these can make or break a first impression. In short, find as many ways as possible to make leads feel welcome, valued, and engaged. Be sure to collect their contact information, either by collecting business cards, or even better – digitally. You can create a landing page designated for the event for just this purpose. It’s time to redirect your goals toward nurturing once again, and once again, segmentation is needed to sort the hot leads from the lukewarm ones. Contact your leads promptly after the event – optimally no more than a day or two later. To be well-prepared, your nurturing campaign should already be fully ready to launch when the first lead enters the system. 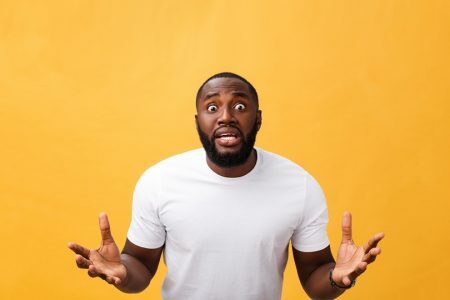 As your company’s name is one of the dozens your lead encountered, don’t be put off by the idea that they may not be keeping you at the top of their mind. Instead, try to remind them of some outstanding element of your presence or interaction with them at the event. In your initial email, explain how you attained their name, with a personal reference if possible. Mention the details of the event, and reference a specific conversation with a representative if one took place. 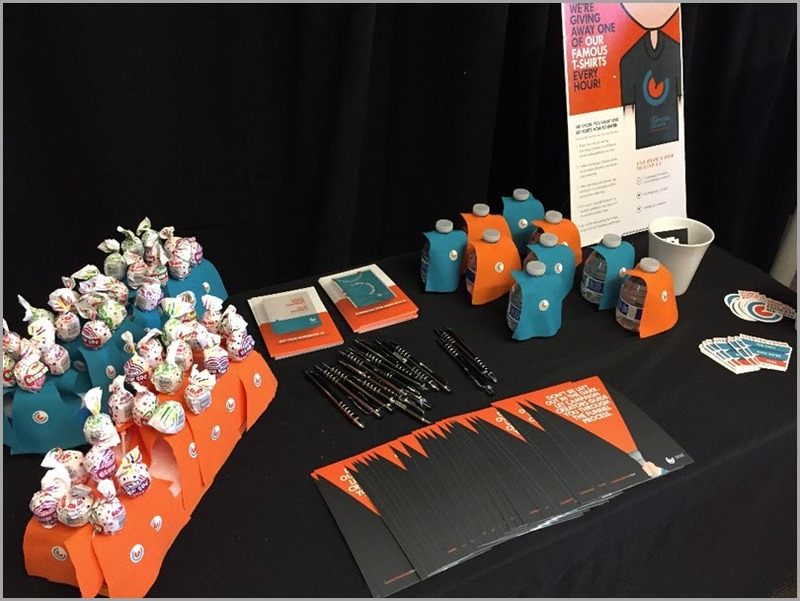 A great use of a follow-up campaign is to qualify leads by offering a range of options for further engagement, but Nicole considers the most direct goal to be encouragement of leads to attend similar events in the future. Provide several content options that appeal to prospects at various stages of the marketing funnel while also throwing in a reference to an upcoming event they may find interesting; essentially, sell them on the same product in different events. The lukewarm leads will, of course, require more patience and a non-intimidatingly paced drip campaign, while hot leads will be able to handle a bit more energy in your offers. 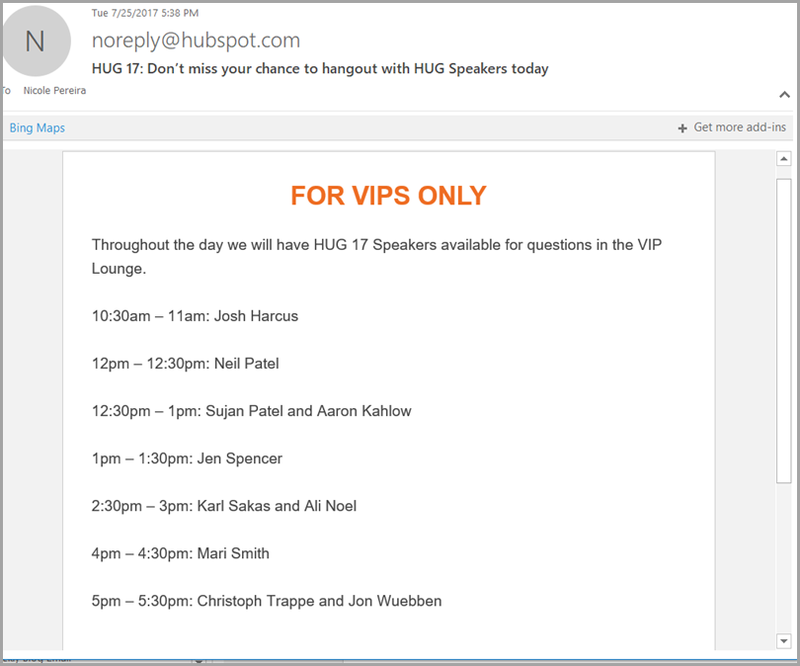 Additionally, you can find use in sending out an email with a “sorry we missed you” sentiment to even those leads who did not attend, with highlights from the event and a few links to related content inside. The call should be made based on whether you consider the lead to have gone entirely cold, or simply have been unable to attend. 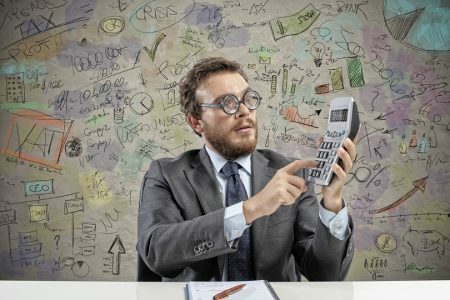 When you are the one hosting an event, your strategy needs to be modified for the idea that the event itself IS the product that you’re trying to sell. Such an event can be anything from a workshop to a seminar or a mixer. The main difference between hosted and attended events is that, when hosting, you have a considerably greater amount of control over your leads’ attention – but a lot more responsibilities. 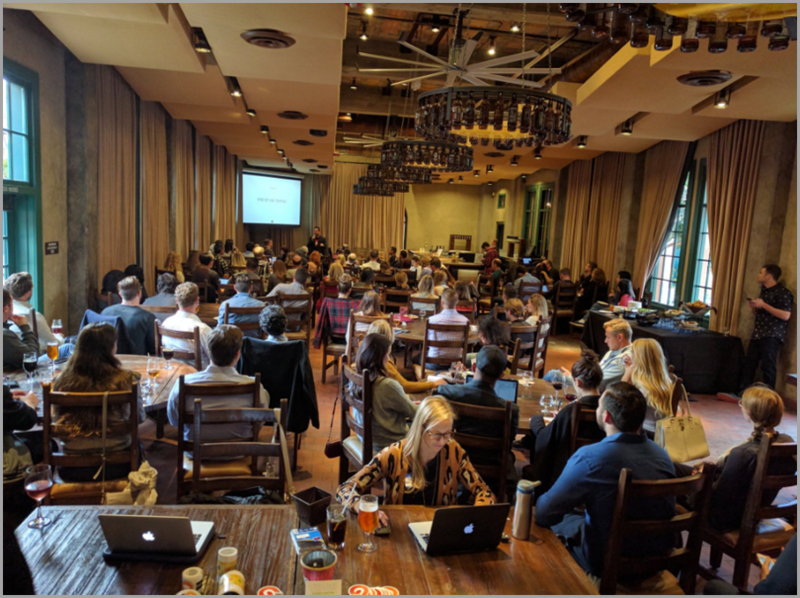 A hosted event can be a lead generation or a lead nurturing opportunity, or even both simultaneously, depending on which clients you choose to target. 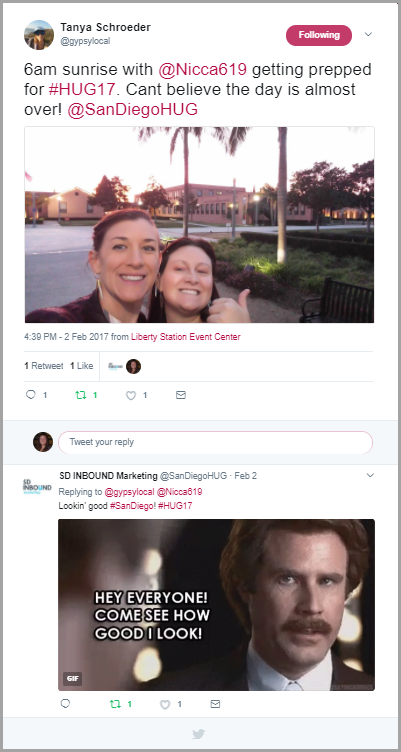 Marketing to get new leads will obviously require lead generation practices, while loyal past attendees of your events can (and deserve to!) easily be rewarded with a nurturing campaign. 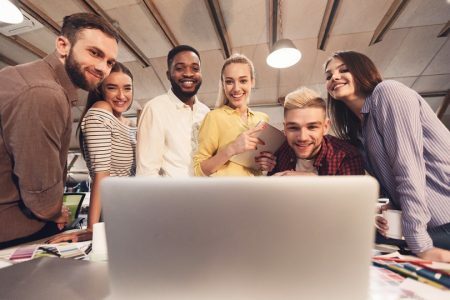 Develop distinct drip campaigns for both groups, and recognize that public platforms like social media are probably better for the generation, while the customization factor of emails is best suited for nurturing. As your own company is single-handedly running the event, your work is in some ways cut out for you. From the moment they walk in the door to the moment they exit, your priority should be the engagement of your leads. Remember, you will also need to delegate a larger team toward running the event than if you were attending since you will be responsible for setup and maintenance of everything. Leaving attendees feeling neglected is the worst thing you could do! Consider providing live updates throughout the event by uploading social media content and encouraging those attending to do so. 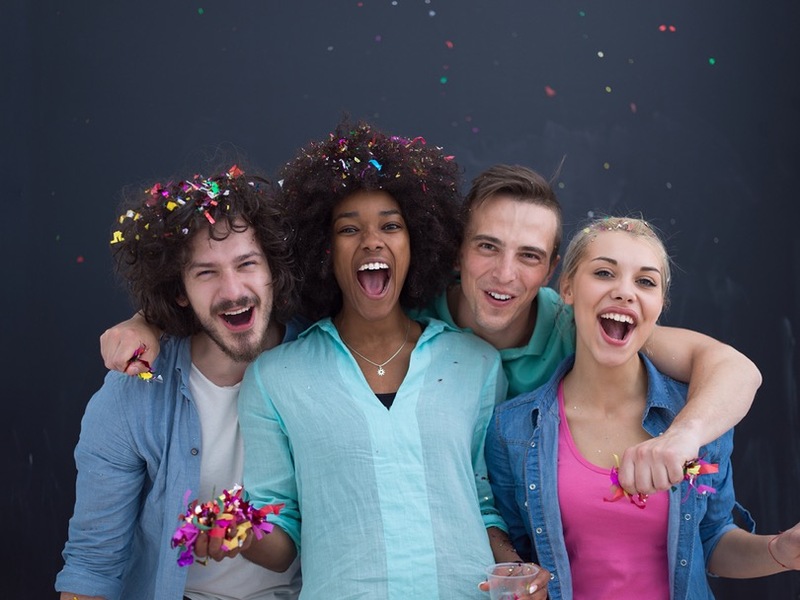 This will not only document the event for participants and make them feel engaged, but will show those who couldn’t make it what they are missing and potentially motivate them to attend the next one. You can also set up automated emails to deliver the event agenda, or even a simple thank you note, to attendees the instant they check in. The rules are practically the same as those that apply to any instance of interacting with leads – provide value and make it personal. So use common sense! 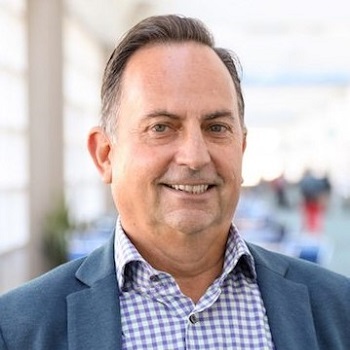 As with attended events, the last phase is one focused on lead nurturing or business development; that is, the creation of long-term value for an organization from customers and relationships. Because the spotlight is on your company, however, Nicole believes that these kinds of events provide more opportunity for long-term lead nurturing – which makes it all the more crucial to start your strategy early. Again, segmented content and outreach to qualified leads regardless of attendance is recommended. Keep in mind the background goal of “completing the cycle;” as important as it is to generate interest in your product/service, there is also great value in ensuring simply that your attendees come to the next event you host. 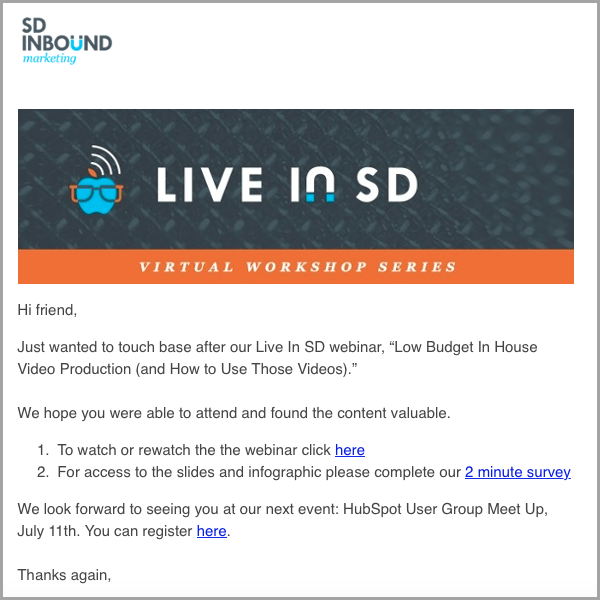 For example, after each Inbound Education seminar we co-host with SD Inbound, we send a follow up email the next day recapping the event, providing the presentation slides, and a link to sign up for the next event. Finally, to measure the success of your event, there are multiple relevant marketing metrics to examine, some of which, like email click-through rates, you may already be tracking with software. I also suggest conducting a debriefing session with your team to discuss what went well and what could use improvement. Then compile all this information into a post-event report. Use the insights uncovered to sharpen your strategy going forward and make every event a learning opportunity. Hopefully, this breakdown of the stages of event marketing has provided you a better understanding of the potential of automation and nurturing in maximizing the ROI of your events. The extra work will prove worthwhile; it certainly has for us! Guest Author: Tammy Duggan-Herd, Ph.D. is the Marketing Manager at Campaign Creators, a conversion focused digital marketing agency in San Diego, CA. She is a psychology researcher turned marketer. Since her transition, Tammy has excelled rapidly in the digital marketing space, contributing industry-changing ideas utilizing her background in applied social psychology and data analytics.